1936 marked the birth and remarkable journey of NCJW Peninsula Section. We are a dynamic part of Long Island Sections, the national organization (NCJW, Inc.), and the international organization (ICJW). 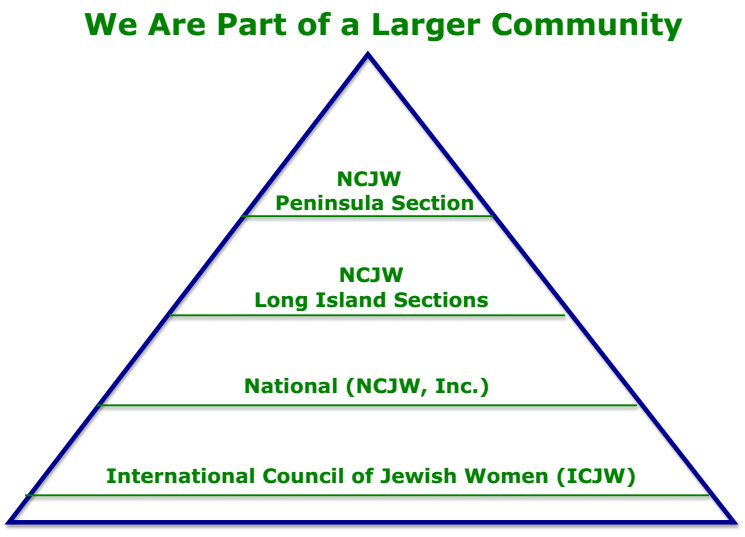 Long Island section is comprised of four NCJW sections: Lakeville, Peninsula, South Shore, and Westbury. Representatives from each section meet to advocate action on pertinent issues, share information on section events and plan for an annual spring luncheon. All are welcome to join us as women who dare to do what our convictions demand. We meet bimonthly at the Nassau County Bar Association. For more information call the Peninsula Section office at 516-569-3660.